Ian Katz, then editor of the BBC’s Newsnight, was chastened by his failure to predict either the outcome of the 2017 British General Election or the emergence of Donald Trump as the 45th US President. He attributed this failure, shared by most of the national media, to an ignorance of what was happening ‘on the ground’. How might such information be collected, analysed and shared in the future? This urge to try to find out what people really think about issues or events is not new. In 1936 a letter appeared in the New Statesman deploring the assumptions that newspapers made regarding the attitudes of the general public toward the Abdication Crisis: Were they with the King and Mrs Simpson, or the Prime Minister and the Church? It noted: ‘Anthropologists and psychologists all over the world are studying the reactions of primitive tribes to sexual situations’ – could these same experts devise methods for truly establishing what people thought? (Jeffery, 1978). The letter kindled the interests of Tom Harrisson and Charles Madge, two men of very different background and temperament, whose minds were focused on precisely this issue. Together, they created ‘Mass Observation’: a first attempt to provide a detailed barometer of public sentiment in all its subtlety, complexity and contradiction. Psychologists today know little of Mass Observation (MO) or how British psychology reacted to its novel techniques. With the paradigm shifts that have now overtaken applied psychology and the widespread acceptance of qualitative methods, in clinical, health and community research, it is time to revisit MO and reconsider its place in the history of British social science. Tom Harrisson (1911–1976) was a gifted and charismatic polymath, who from an early age displayed outstanding leadership and organisational skills, allied to a belligerent and intimidating manner toward those who questioned his judgement (Heimann, 1998). His early childhood was spent in Argentina, before returning alone to the UK for his education. In both cultures he was an outsider, watching and noting carefully the behaviour and sayings of those around him. This ability to unobtrusively observe and record led him to an initial interest in ornithology: still a schoolboy, he organised a national bird census and his first publications. A student fleetingly at both Cambridge and Oxford, he devoted much time to organising expeditions to remote regions. Mixing with persons from profoundly different cultures aroused Harrisson’s people-watching skills. In 1933 he embarked on an expedition to the New Hebrides; when the expedition returned to the UK, Harrisson stayed on, living with the Melanesian people of Malakula Island. He spent two years studying their lifestyle, using the participant-observer approach pioneered by the anthropologist Bronislaw Malinowski (1929). On his return to the UK, he wrote a lively account of his adventures: Savage Civilisation (Harrisson, 1937), which became a popular success. Frustrated in his quest to mount further expeditions, Harrisson decided to turn his anthropological skills upon a ‘tribe’ of his own people: the Northern working class. The North of England had been particularly badly affected by the economic slump of the 1930s. Some light on their blighted lives had been shed by George Orwell (1933) and J.B. Priestley (1934), but Harrisson sought a more comprehensive and systematic approach, using the observational skills he had refined in Malakula. In 1936 Harrisson moved to Bolton, which he named ‘Worktown’ in his writings, to begin his study. Harrisson spent his days in casual employment in the local cotton mills, and his evenings in political meetings and public houses. By immersing himself in the local culture, he was able to recruit and train a network of volunteer informants and full-time observers to supplement his own observations of rituals and habits. He leavened these local observers with a steady stream of intrigued visitors from the South, including the artist Julian Trevelyan, photographer Humphrey Spender and politicians Richard Crossman and Woodrow Wyatt (Hall, 2015). Charles Madge (1912–1996), by contrast, was charming and diffident, a published poet admired by T.S. Eliot. He was also drawn to science and surrealism, an interest he shared with his near-contemporary at Cambridge, Humphrey Jennings. Madge and Jennings formed the core of a group of left-leaning literati who met regularly at Madge’s house in Blackheath. Madge worked as a reporter on the Daily Mirror and came into regular contact with working-class citizens. He was struck by how different their attitudes were compared with those attributed to them by the popular press. The New Statesman letter chimed with his own experiences, and he immediately wrote to the magazine announcing that the Blackheath group were already immersed in this issue and called for ‘mass observations’ to create ‘mass science’ (Calder, 1996). Harrisson immediately contacted Madge, and at a subsequent meeting they agreed to work together on the new project, using Madge’s title ‘Mass Observation’. The movement was to be run from two locations: Madge’s home in Blackheath and Harrisson’s base in in Bolton. Together, they compiled and published the movement’s manifesto, entitled ‘Anthropology at home’. It proclaimed that ‘Mass-Observation develops out of anthropology, psychology and the sciences that study man, but it plans to work with a mass of observers’. (Harrisson, Jennings & Madge, 1937). It instanced a range of possible topics that might be studied by their observers, including: the behaviour of people at war memorials, ‘bathroom behaviour’, the distribution and significance of dirty jokes, and the hand gestures of motorists. By early 1937 the number of volunteers for the project had reached 400. The tasks that volunteers were detailed to undertake reflected the divergent ambitions and approaches of the two founders: the trenchant prose of the manifesto deliberately obscured the differing conceptions of the role and function of the new organisation (Jeffrey, 1978). For Harrisson, MO was a revolutionary new method, anchored within the social sciences, destined to shed new light on the psychology and behaviour of different social groups in the UK. This was to be achieved by trained observers embedded within communities, gathering unobtrusive intelligence on different facets of everyday life, on topics selected by Harrisson. For Madge and Jennings, however, the emphasis was to be on individuals’ different perceptions of shared events. Madge and Jennings instituted the idea of daily diaries kept by the volunteers (later known as ‘the panel’), which were submitted to Blackheath for transcription. In addition, panel members were asked to respond to questions (or ‘Directives’ in MO-speak), which could include the nature of their dreams and odd coincidences (the surrealist legacy). Initially, panel members were required to provide a detailed account of what had occurred to them on the 12th of each month (the ‘Day Survey’), but this lapsed in 1938, largely because the sheer amount of data overwhelmed Blackheath’s resources. Instead, they switched emphasis to reactions to significant public events, such as King George VI’s Coronation Day in 1937. This latter event led to MO’s first major publication, May the Twelfth (Jennings & Madge, 1937). The book was an assemblage of personal accounts, based on the reports of panel members describing what they heard and saw on Coronation Day. When it appeared, media reaction to the book was often negative: it was accused of lacking structure or profound conclusions. The novelist, Evelyn Waugh, reviewing the book dismissed it as ‘a great deal of pseudo-scientific showmanship’ (Waugh, 1937). The adverse reaction to May the Twelfth effectively ended Jennings’s active involvement in MO, but the collage method he had adopted, slotting together fragmentary accounts, foreshadowed the cutting and editing techniques he used to such great effect in his later documentary filmmaking (Jackson, 2004). By contrast, Britain by Mass Observation (1939), edited and written by Madge and Harrisson, proved a popular success. It was launched just prior to the outbreak of war and analysed a variety of contemporary cultural icons, including the Lambeth Walk dance craze and football pools. The book was critical of the Chamberlain government and contemporary newspaper reporting and sought to develop a more authentic account of popular opinion, based on diary extracts collected by Madge and the systematic observations of Harrisson’s group. The new book boasted that MO now had some 2000 observers trained to study everyday behaviour (‘the science of ourselves’). Financial support had been a constant problem, but the outbreak of war offered new opportunities. Harrisson argued that MO was ideally placed to take soundings on public opinion on the progress of the war and the reactions to the inevitable privations and restrictions that it entailed. He had a powerful advocate in Mary Adams, an old friend who rose to be Director of Home Intelligence within the Ministry of Information, then headed by Duff-Cooper. The link to the Ministry ensured a steady stream of commissions to undertake soundings of public opinion on a variety of sensitive issues. The media reaction to this development revived earlier concerns about eavesdropping, and MO’s observers were labelled ‘Cooper’s snoopers’ by the popular press. While Harrisson envisaged MO developing as the opinion-gathering arm of the wartime government, Madge sought a less committed position (Hall, 2015). In 1940 the often tempestuous relationship between the two finally foundered: Madge left MO for a government-funded study on saving and spending among the working class, a project supported by John Maynard Keynes, who saw its value in his ongoing struggle to stabilise the wartime economy. Harrisson, meanwhile, was left in unchallenged control of MO, where he and his team continued to author a string of reports for various government departments. Much of this work was confidential, although some studies, such as People in Production (1942) and War Factory (1943), were published in redacted form. Due in part to the pressures of war, much of the data collected in Bolton lay unpublished: The Pub and the People (1943) remains the principal literary monument to the Worktown years. The war work of MO was the high point of the organisation’s influence. Its reports, on attitudes toward the ‘blackout’, government posters and the carrying of gas masks made ministers aware of the consequences of their policies. Public guidance was sometimes modified in the light of MO’s findings (Hinton, 2013). However, in 1942, changes at the top of the Ministry, combined with Harrisson’s temperament and strong opinions on the conduct the war, led to the abrupt withdrawal of government finance, and Harrisson found himself conscripted into the army. In 1944 he was dropped behind enemy lines in Borneo, where he organised the indigenous peoples to successfully harass the occupying forces, a feat of arms for which he was awarded the DSO (Heimann, 1998). After demobilisation in 1946, Harrisson returned to MO to find the organisation badly in need of his drive and grip, as well as his skills in generating financial support. In the difficult post-war years, Harrisson successfully solicited new paid work for MO, with funding from the Advertising Services Guild, major companies and government departments: MO was rapidly taking on many of the features of a conventional market research firm. Its ‘subversive eccentricity’ (Hall, 2015), which characterised its pioneering days was lost; in 1947, Harrisson left the UK to become Curator of the Sarawak Museum, and two years later, relinquished control of MO, which became a limited company; its aim of charting social change sacrificed to market research and consumer choice. As a last gesture to his founding beliefs, Harrisson briefly returned from Sarawak to revisit Bolton in 1960. He used his legendary powers of persuasion to lure some of those who had worked with him in the pre-war period to return briefly to ‘Worktown’. The resulting book, Britain Revisited (1961), was as an opportunity for Harrisson to put his own case on the history of MO and to settle old scores (although Madge was permitted the final word). In 1969 Harrisson gave the MO archive – diaries, observations and reports – to the care of the University of Sussex. He was still agitating at a distance to revive what he saw as the ‘real’ Mass Observation, when he and his wife were killed in a car accident near Bangkok in 1976. The Mass Observation archive was discovered by the social historian Angus Calder when he was writing his account of life in wartime Britain. The vivid accounts of ordinary people faced with the privations of total war added a fresh dimension to the history; Harrisson himself drew on these same records for his account of the London Blitz, published posthumously (Harrisson, 1976). Subsequently, British social historians of the thirties and forties have routinely included MO material to illustrate what ordinary people thought and did at the time, in contrast to retrospective memoires and newspaper accounts (e.g. Garfield, 2004; Kynaston, 2007). If this were their only bequest, Harrisson and Madge might feel that their original intentions in establishing the movement had been partially fulfilled. The founders of Mass Observation envisaged that their work would draw upon and contribute knowledge to anthropology, sociology and psychology. The reaction of the British psychological establishment to this brash newcomer was as far as possible to ignore its existence. The reasons for this uncooperative approach can be found in the ideological debate surrounding the nature and status of academic psychology in the inter-war years, of which Frederic Bartlett at Cambridge was the leading influence. Bartlett’s early research, epitomised in his classic Remembering (1932), involved accounts of formal experiments but also chapters on social and cultural influences, drawing upon his observations of indigenous peoples in Africa, hence its subtitle: A Study of Experimental and Social Psychology. However, by the time of the book’s publication, Bartlett had publicly abandoned this eclectic approach in favour of relentless empiricism, based on laboratory research. Costall (2009) argues that this apparent change of opinion was largely driven by Cambridge academic politics: to defend the move of Psychology from the Moral Sciences to the more prestigious Natural Science Faculty. Bartlett appears to have seen MO as a threat that needed to be contained (Hubble, 2006). From 1935 he had convened a working group of prominent psychologists, sociologists and anthropologists to formalise methodology in the social sciences. The group’s conclusions were published as The Study of Society: Methods and Problems (Bartlett, Ginsberg, Lindgren & Thouless, 1939). As Hubble (2006) emphasises, one motive of the book appears to be to address the concerns that had given rise to MO, while never mentioning the organisation by name. Bartlett’s own chapter on research methods in social psychology focused on orthodox laboratory experimentation, but conceded that social issues in society might benefit from ‘amateur investigators’ – but their data would need to be forwarded to ‘clearing-houses’ staffed by professional academics, who would determine the conclusions. Not all the contributors took Bartlett’s view: Tom Pear (Costall, 2001) was sympathetic to the aims of MO, sitting on their advisory committee, contributing to their publications and encouraging his staff to work on joint projects; he even risked mentioning the organisation by name as an ideal candidate to explore the role of cinema and cinema-going. Another sympathetic contributor was Oscar Oeser, who had experience of action research through his study of long-term unemployment in Dundee. In a striking parallel with Harrisson’s techniques, his team had included a former miner who lodged with an unemployed family and reported back on the conversations, observations and discussions taking place in the distressed community. Oeser termed this method ‘functional penetration’: taking a specific role in society that allowed the observer to experience events from the perspective of the observed. It appears that Oeser influenced Harrisson’s ideas and vice-versa (Roiser, 2001). In a letter from 1980 in the MO archive, Oeser writes of meeting Harrisson in his Bolton headquarters and commends MO as ‘interesting and worthwhile’, but preferring to use a range of ‘more rigorous methods’, including ‘interview schedules, more controlled sampling and systematic conceptualisation’. Oeser’s criticisms of MO’s methods were echoed by many other psychologists familiar with the pre-war work. Marie Jahoda and Gertrude Wagner were social psychologists who worked on another study of unemployment in the Austrian town of Marienthal (Jahoda, Lazarsfeld & Zeisel, 1933/1971) and who later fled to the UK after the Nazi Anschluss in 1938. Both saw MO as a potential user of their skills. In an interview in the Mass Observation archive, Jahoda left a vivid description of her first meeting with Harrisson in 1937. She gained the strong impression he enjoyed showing off; he was ‘leaning back in an armchair with his feet up on the table with three telephones that he simultaneously talked to on the desk. A fantastic character… he really was a gifted man, but a very wild one’. These first impressions, confirmed for Jahoda that she could never work for him: she wrote a highly critical review of May the Twelfth, highlighting her concerns over the untrained nature of the observers and the consequent difficulty of abstracting reliable themes from such material. Jahoda went on to use Oeser’s ‘functional penetration’ method in an observational study of how newly employed workers adjusted to the norms of factory life, working beside them as an unskilled fitter in a Bristol aircraft factory (Jahoda, 1941). Gertrude Wagner did work directly with Harrisson and later with Madge. She brought an empirical social psychological perspective to the research she conducted. She insisted on using formal questionnaires in her own research; they were of a length that could be completed in the informant’s home in the time it took to boil and drink a cup of tea. Wagner (1940) used this different approach in her study of wartime evacuees from the cities and their reception by their rural hosts, which revealed a chasm in attitudes and values between the two groups. Both Wagner and Jahoda went on to work for the Wartime Social Survey where their practical experience and rigorous mixture of qualitative and quantitative methods were valued. Why did MO fail to leave an imprint on mainstream psychology? When it was most active, British psychology was still in thrall to a behaviourist approach: a relentless emphasis upon what could be measured and statistically analysed. As the trajectories of Bartlett’s and Pear’s careers epitomise, research on people’s thoughts and mental life generally was discouraged or ignored in favour of an often soulless empiricism (Costall, 2001). The 1970s saw a sea-change with the rise of cognitive psychology and renewed interest in studying psychological processes outside the confines of the laboratory (Roiser, 2001). New interests required new methods and the emergence and widespread acceptance of qualitative measures of human activity. The use of focus groups and diary keeping as research echoed MO’s work in the 1930s and 1940s (Moran, 2008). Some of the criticisms levelled by psychologists of the time now carry less weight: the use of trained volunteers as co-researchers and observers is an accepted technique in community psychology; research employing small selected samples combined with qualitative analyses is widely employed in health and clinical psychology. Some criticisms still carry relevance: the haphazard choice of topics for investigation – what Hinton (2013) described as ‘a tendency to indiscriminate observation, jackdaw-like collection of information with no agenda or principle of selection’. However, these criticisms are most relevant to MO’s earlier work. The war-time emergency brought a stable income stream and an influx of trained psychologists, which meant that methodological weaknesses were addressed. Their influence can be seen in the later wartime reports, which use both quantitative and qualitative data, verbatim quotations from workers solicited by embedded researchers, supplemented by tables of data using precise sample sizes. MO was maturing, keeping its emphasis upon the voice of the individual, but also making concessions to quantitative as well as qualitative techniques. MO began in the same year – 1937 – as Gallup began polling in the UK, and pollsters frequently criticised their rival’s methods. Harrisson’s response was to say that for all their careful sampling and social balancing, polls were essentially forced-choice tests. They did not explain why someone held a particular view. Hence, MO always used open-ended questions and observers instructed to write down precisely what the person said, which could indicate qualified approval or whole-hearted endorsement, a personal standpoint or one reflecting the newspaper they read or their partner’s views. Harrisson sought to distinguish between what he termed the ‘direct’ and ‘indirect’ information provided by respondents and on that basis confidently predicted another polling shock: the election of a Labour Government in 1945 (Harrisson, 1944). Pollsters and psychologists today can still learn from the methods and history of Mass Observation if they are to successfully detect the rise of the next Donald Trump or the outcome of a post-Brexit election. The authors gratefully acknowledge the assistance of the staff of the Mass Observation Archive, University of Sussex and the Trustees for permission to reproduce extracts from letters and interviews. Editor's note: This is a longer version of the article than appeared in the print edition. Bartlett, F.C. (1932). Remembering: A study in experimental and social psychology. Cambridge: Cambridge University Press. Bartlett, F.C., Ginsburg, M., Lindgren,E.J. & Thouless, R.H. (1939). The study of society: Methods and problems. London: Kegan Paul, Trench & Trubner. Calder, A. (1971). The people’s war: Britain 1939–1945. London: Cape. Costall, A. (2001). Pear and his peers. In Bunn, G.C., Lovie, A.D. & Richards, G.D. (Eds.) Psychology in Britain: Historical essays and personal reflections (pp.188–204). Leicester: British Psychological Society. Costall, A. (2009). Frederic Bartlett and the idea of an historical psychology. Ethnographic Studies,11, 24–38. Hall, D. (2015). Worktown. London: Weidenfeld & Nicholson. Harrisson, T. (1937). Savage civilisation. London: Gollancz. Heimann, J.M. (2002). The most offending soul alive: Tom Harrisson and his remarkable life. London: Aurum Press. Hinton, J. (2013). The mass observers: A history 1937–1949. Oxford: Oxford University Press. Hubble, N. (2006). Mass Observation and everyday life. Basingstoke: Palgrave Macmillan. Jackson, K. (2004). Humphrey Jennings. London: Picador. Jahoda, M. (1941). Some socio-psychological problems of factory life. British Journal of Psychology, 31, 191–206. Moran, J. (2008). 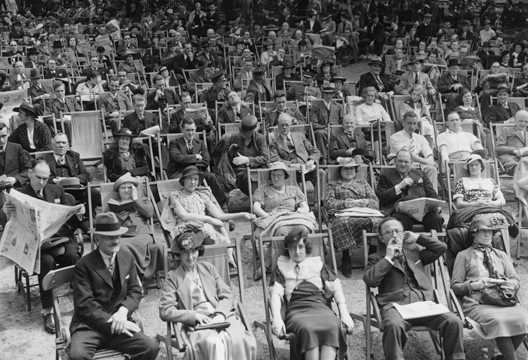 Mass-Observation, market research, and the birth of the focus group, 1937–1997. Journal of British Studies, 47, 827–851. Orwell, G. (1933). Down and out in Paris and London. London: Gollancz. Priestley, J.B. (1934). English journey. London: Heinemann. Roiser, M. (2001) Social psychology and social concern in 1930s Britain. In Bunn, G.C., Lovie, A.D. & Richards, G.D. (Eds.) Psychology in Britain: Historical essays and personal reflections (pp.169–187). Leicester: British Psychological Society. Wagner, G. (1940). Our wartime guests: Opportunity or menace? A psychological approach to evacuation. Liverpool: University of Liverpool Press. Harrisson, T. (1943). War factory. London: Gollancz. Harrisson, T. (1944). Who’ll win? Political Quarterly, 15, 21–32. Harrisson, T. (1961). Britain revisited. London: Gollancz. Harrisson, T. (1976). Living through the Blitz. London: Collins. Jennings, H. & Madge, C. (1937). May the twelfth: Mass Observation day surveys, 1937 by over 200 observers. London: Faber and Faber. Madge, C. & Harrisson, T. (1937). Mass Observation. London: Frederick Mueller. Madge, C. & Harrisson, T. (1938). First year’s work. London: Lindsay Drummond. Madge, C. & Harrisson, T. (1939). Britain by Mass Observation. Harmondsworth: Penguin. Mass Observation (1942). People in production. Harmondsworth: Penguin. Mass Observation (1943). The pub and the people: A Worktown study. London: Gollancz. Mass Observation (1947). Puzzled people: A study in popular attitudes to religion, ethics, progress and politics in a London borough. London: Gollancz.